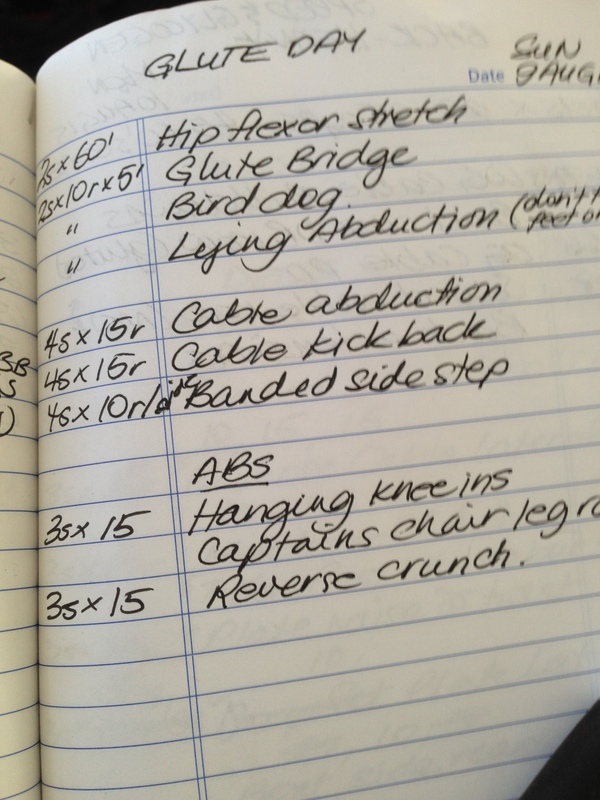 Here’s a fun, and challenging, glute activation workout that I do once or twice a week. This series is adapted from an article by Bret Contreras, the “glute guy”. In his article “Dispelling The Glute Myth” he states that no amount of heavy squats, deadlifts, or lunges will strengthen your glutes as much as glute activation exercises. Sure you’ll be sore, but guaranteed you won’t be recruiting your glutes to do most of the heavy lifting, it’ll be your quads and erector spinae doing the bulk of the work. Like most of the population, I have weak, under developed glutes, and that’s where the majority of my off season focus will be. Did this one before hams and glutes!! Wow!! Loved this activation exercise!! This one is my daily warm up routine (done with ankle weights) plus I also do them heavy 1-2x a week. Bret Contreras is awesome, all his articles have helped me balance my crooked spine and uneven hips! Thank you for sharing dear! Thanks for commenting and following! And, always glad to hear success stories!